One major UK manufacturer had one of their moguls set up exclusively with MFG composite starch trays and achieved production increases of between 4% to 7% per day in comparison to their other machines running wood. Customer’s report 0.0015% composite tray breakages vs. 5% with wooden trays. Indeed one customer in the USA has estimated savings of over $200,000 US a year in tray breakages, by moving from wood to composite trays. Tray stability and dimensional consistency can typically give up to 2.5% to 3% increase in mogul output when compared to wooden starch tray equivalents. Unlike wood, composite trays will not easily break in the event of a machine jam. The possibility of wood splinters resulting in big production time loss is eliminated . Fibres are always retained in the composite lattice inside the outer resin layer. One piece construction ensures that each tray is exactly the same. This enables the machines to run at their full potential as the trays do not jam as often and cause downtime. The dimensional stability means less chance of a tray jam in the mogul. By comparison wood tray dimensions vary with the humidity, temperature and by batch. These variations result in unnecessary mogul tray jams which can be avoided by moving to composite plastic. Avaiable in different colours such as white, blue and pink. All coloured trays conform to the required Health & Safety regulations 1935/2004 (EC). All MFG composite starch trays are independently tested and certified as per EEC Directives EU No. 10/2011. The composite plastic trays can be washed by heated pressure washers or tray wash plants using food grade cleaning products, allowing easy removal of any product left on the trays, without any tray damage. This is not possible with wooden trays and is a very important advantage in consideration of modern hygiene requirements. Can be cleaned and washed in heated pressure washers or in tray wash plant, using food grade cleaning agents. MFG have worked extensively with all major mogul manufacturers including NID, Makat, and Winkler & Dunnebier to ensure fit with common mogul configurations. The plastic starch trays may be chosen from the standard catalogue if this fits the production specification or MFG can custom design a plastic starch tray to fit unique product characteristics. In all cases MFG will produce drawings and after approval by the manufacturer, a mould die will be made, but not chromed, for the production of a short test batch of prototype trays which will be sent to the machine supplier for evaluation. Once all tray design points have been clarified the mould will be chromed and the trays will go into final production. MFG Trays are designed to operate with the customer’s current wood trays, eliminating the need to replace all of the wooden trays at once. It is important to note that there is no difference in the drying times of products manufactured in plastic trays versus wooden trays. MFG Plastic trays can be mixed with wooden trays as the wood trays are phased out of production and are designed to stack at random with existing wooden trays. The wooden trays can then be replaced on a scheduled replacement programme rather than require a large initial investment to replace all the trays at one time. When replacing old wooden starch trays MFG will examine a representative range of samples of the wooden starch trays in order to determine the final dimensions and characteristics of the new composite plastic starch tray replacements. Samples will be taken of wooden trays in different stages of age and wear as well as a selection of trays supplied by different manufacturers over the years. 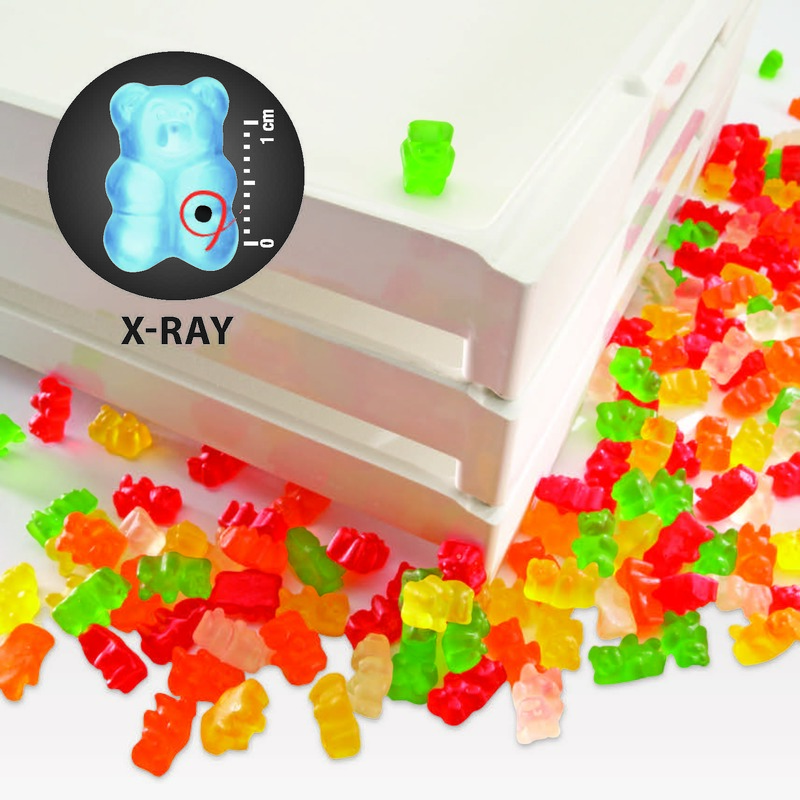 MFG have replaced wooden trays at many major confectionery companies, in many cases successfully replacing hundreds of thousands of wooden trays. The fast turnaround of production quality prototypes are key to the success of the final plastic starch tray. Using the latest technology MFG is able to produce high quality prototypes after approval of drawings and production of an un-chromed mould which will enable our customers to run pre-production trials. There is also a facility to provide initial tray samples for approval using 3D printing techniques, so that a 3 dimensional sample tray can be made up before manufacture of the actual tray cavity. Following approval of prototypes MFG will proceed with the full tool build which will normally take a matter of weeks. This process will be coordinated in close liaison with MFG to ensure that the required delivery dates are met. 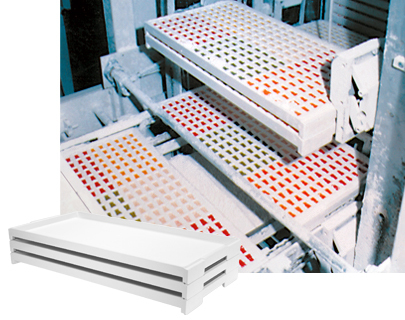 MFG was the first to use composite plastic laminate material in the production of starch trays. This page shows why your company will save money and increase production by moving to MFG Composite Plastic Starch Trays.